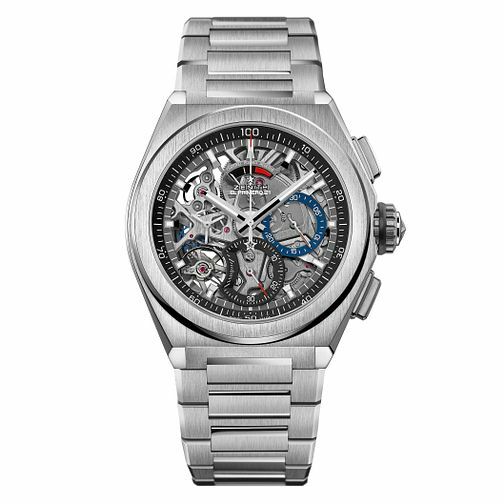 Make a stylish impact with this undeniably luxurious Zenith Defy El Primero watch. Zenith timepieces are renowned for pushing horological boundaries, whilst still being a fashionable choice. The watch is brushed in titanium, and encased in a contemporary design. Marvel at the inner workings of this expertly crafted watch with the exposed mechanical cogs on the dial.